A woman was arrested in Warwick town centre this week after the local Safer Neighbourhood Team found she was in breach of bail conditions. On Monday (August 21), PC Parker and PCSO Groom from the Warwick Safer Neighbourhood Team, were working from a mobile police station in Market Place. It was brought to their attention that two woman were soliciting elderly members of public, asking them for money. A spokesperson from the Warwick Safer Neighbourhood Team said: “When the officers walked across to them just yards away on New Street, the women were found to be from Birmingham and were known for distraction type offences. “It was believed they had decided to travel across to Warwick to prey on our more vulnerable members of the community in the town. 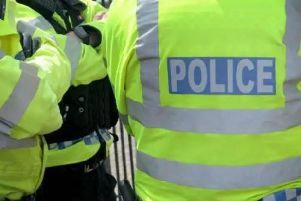 “Following an identity check on the national database, one of the women had been charged with distraction offences in Stratford back in July, and had bail conditions not to enter Warwickshire. “She was therefore arrested and taken to Leamington Custody for breach of her bail conditions. “Her acquaintance was directed to the train station to return to Birmingham. “The female with bail conditions was put before the court Tuesday morning, who then remanded her in prison until her first appearance at the end of the month, denying her the temptation to return to South Warwickshire until she is dealt with at court. “Warwick SNT is a small team, but they are committed to protecting the most vulnerable and serving their community.